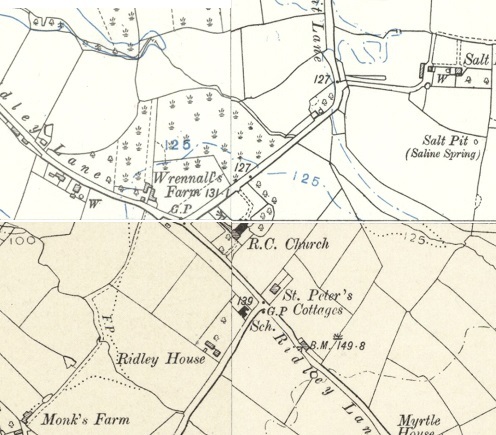 The Joiner's Arms was a beer house located at the end of Salt Pit Lane in the vicinity of Anderton's Windmill and St Peter's RC Church. 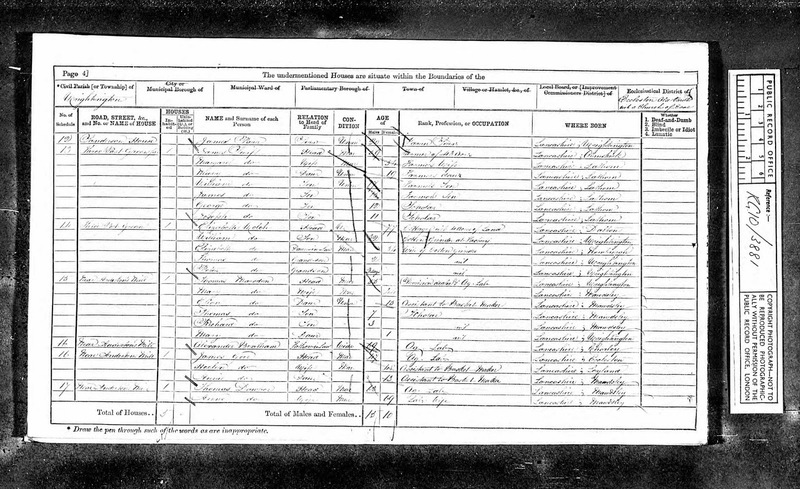 It was probably opened after licensing laws changed following the Beerhouse Act of 1830 but is only referred to on the 1851 and 1861 censuses; thereafter there is no trace. 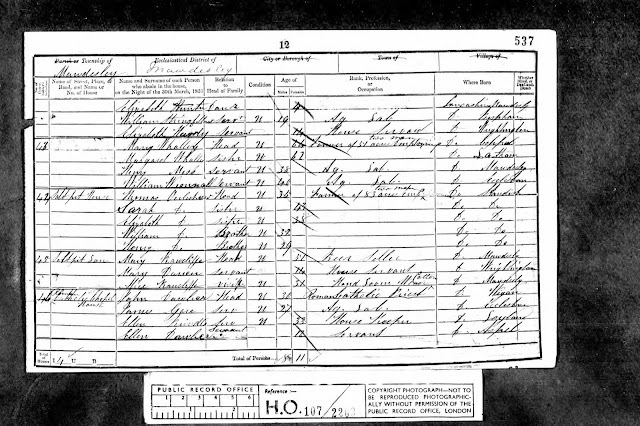 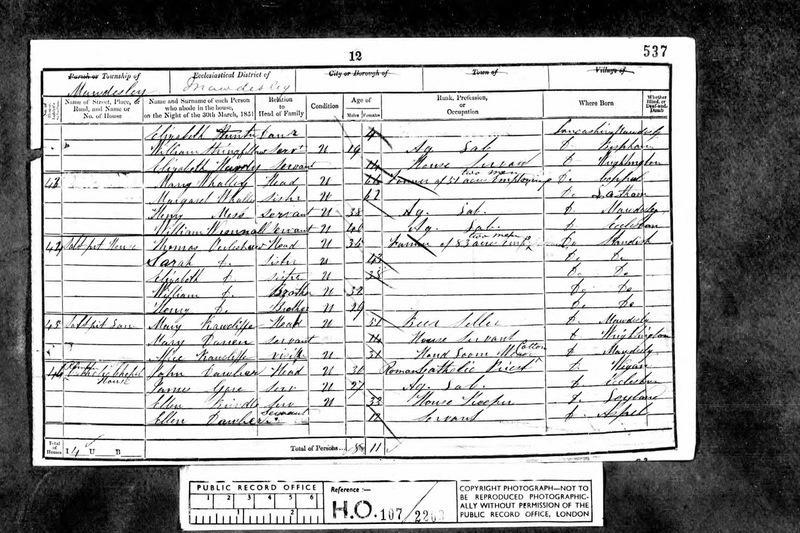 At the time of the 1851 census the future landlord, James Gore can be found living with the Roman Catholic Priest John Dawber near to Mary Rawcliffe's beerhouse. 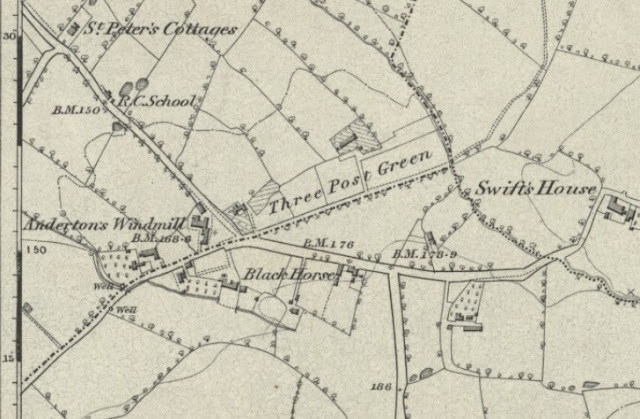 She moved on to Blackmoor Road during the 1850s during which time James Gore had got married and moved in with his wife Helen and their two children. 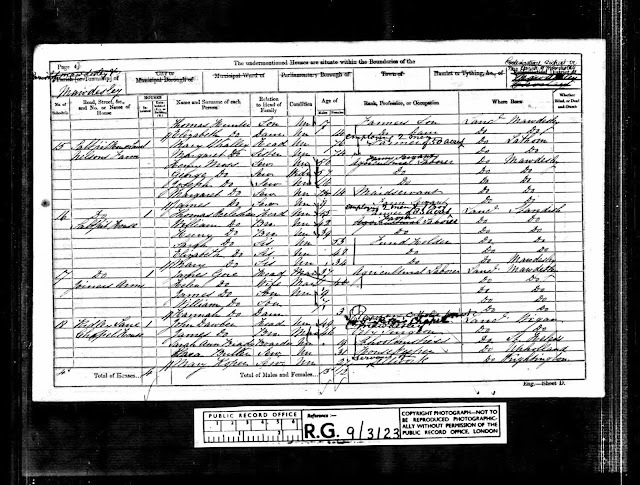 By 1871, landlord James Gore was still living in the Anderton's Mill area but is not referred to as a beer seller with no mention of the Joiner's Arms.